There’s nothing like the smell of sweet violets in late winter and early spring. But the regular species in our climate is nothing less than a thug. It seeds and grows where you really would rather not have it. Well, forget that. 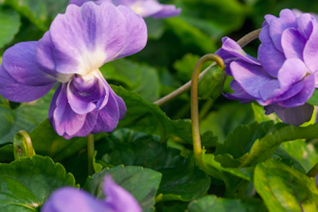 Enter this exquisite fully double flowering Parma Violet. The rich violet blue flowers appear on long stems from January to April. Parma violets are the Mediterranean form of V. odorata and they are less hardy to cold and not so rampant. This form we have never seen set seed- but there are always exceptions. Very glossy green foliage frames the flowers well. Excellent in containers in an unheated greenhouse, conservatory. In the garden choose a protected spot (under evergreen shrubs for example) and give this violet rich soil with regular summer moisture. Tolerates full sun but looks better with some shade. Flowers tend to lean horizontally, they are great for cutting and making little fragrant winter posies. Spreads by runners to form a nice patch in time. Tolerates summer drought when established. Excellent California selection of Chaste tree with thicker, bluer flowers. 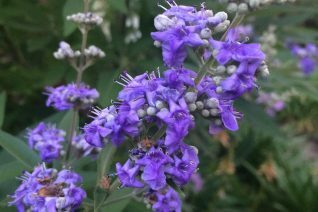 Large growing shrub with aromatic finely divided leaves in mid-July in PDX spires of blue flowers erupt from each branch tip. It remains in bloom for 3-4 weeks. And if you remove spent flowers more will appear. Full sun and poor to average well drained soil. No summer water when established. Attains tree-like status with great age. May be pruned back hard in spring to contain the ultimate size. Blooms on new wood. Long lived and hardy below 0ºF. Leaves appear late in spring- often not until mid-May. Be patient. 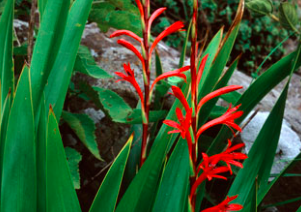 A true red flowered Watsonia and one of the hardiest of the genus. 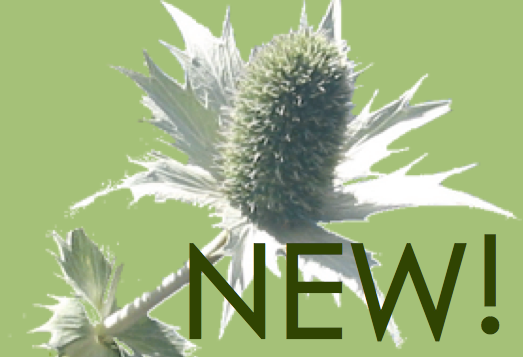 Wide green spikey leaves rise to 2′ tall in spring. In late spring to early summer 3′ tall spikes of tubular true red flowers line the stems. Loved by hummingbirds and cut flower aficionados alike. Rich soil in full sun in a protected position- a south or west facing wall is ideal. Freezes to the ground below 20ºF- re-sprouts in spring. Forms an expanding clump to several feet across. A fun genus to experiment with in our climate. 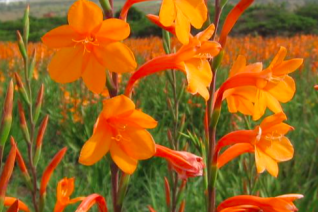 Rated as zone 7 in its native high elevation South Africa. We think its more like 10ºF in our climate. Plant with royal red Lobelia tupa and Rosa ‘Bengal Fire’ for a red extravaganza. Excellent performance at the Oregon Coast. Somewhat deer resistant. This is one of the hardiest species of Watsonia Lily. It forms large evergreen clumps of spikey foliage to 3′ tall. In early summer 4′ spikes lines with brilliant orange flowers are stunning. They bloom for weeks. A protected location such as close to a south or west facing wall. Capable of freezing to the ground in extreme cold (below 20ºF) but regrowing vigorously and still blooming in late spring to early summer. Rich, well drained soil with regular summer moisture. If allowed to go completely dry in summer this as with other Watsonias will go dry dormant. It returns with the first rains in autumn. Amazing cut flower. Mulch your clump in autumn. 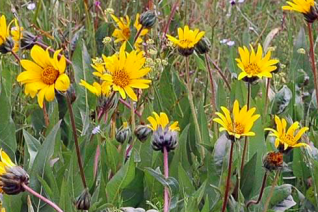 Wonderful South African perennial that is glorious at the Oregon Coast. To 3′ wide eventually. Beaked Yucca does fantastically well in our climate and is one of the Yucca species that will form a dramatic trunk. Blue thin leaves radiate out in a perfectly round orb. Slowly rises to 8′ tall in our climate. Full hot all day sun in a warm position. Very well drained soil with light summer water during the hottest stretches to encourage growth. Occasionally, with age 4′ spikes appear holding large trusses of ivory flowers. Perfectly hardy to cold, way below 0ºF. Avoid cold wet sites- to really do well it needs heat and exposure. 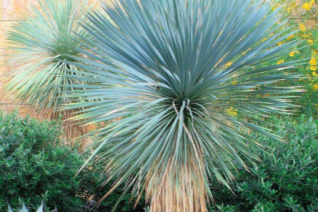 Not prone to bacterial leaf blight that affects other Yucca species. Good air circulation. Lives happily in large containers for eons. Focal point in many of the best gardens in our region. High deer resistance. Evergreen.